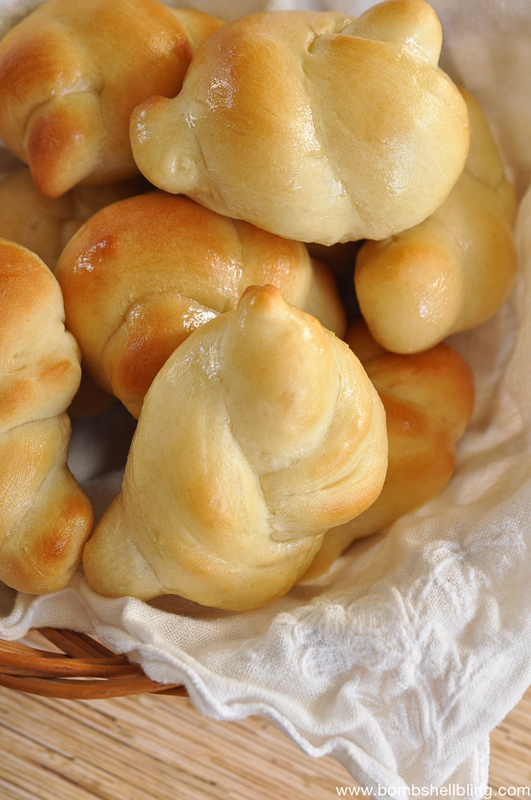 Today’s recipe is for our family’s FAVORITE dinner rolls! My husband is really the great cook in the family, but these are my specialty. 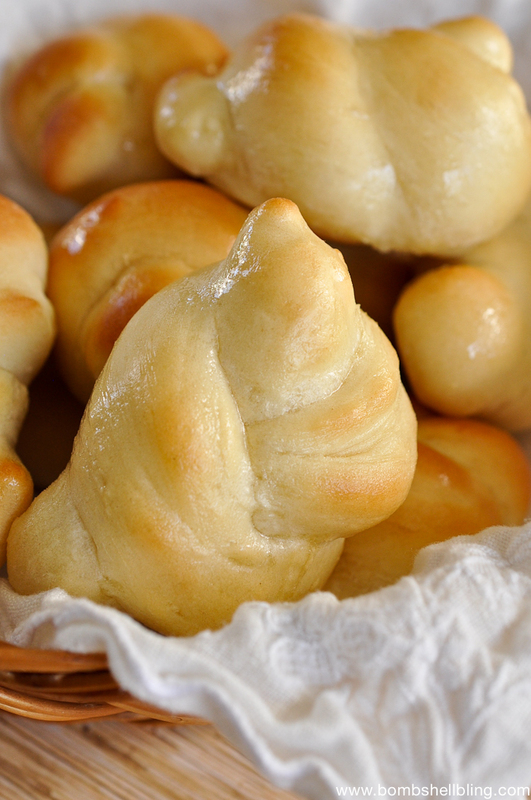 This is a copycat recipe of the amazing Lion House rolls. The Lion House is the historic home of Brigham Young in the heart of Salt Lake City. Brigham Young was the second prophet for my church, The Church of Jesus Christ of Latter-day Saints, and the first governor of Utah. His home is on the famous Temple Square in Utah. The home was given the name “The Lion House” because of the lion statue over the front doorway. The Lion House is now an event center, restaurant, and catering company. At least among Utah folks, these rolls are famous. They are AMAZING! 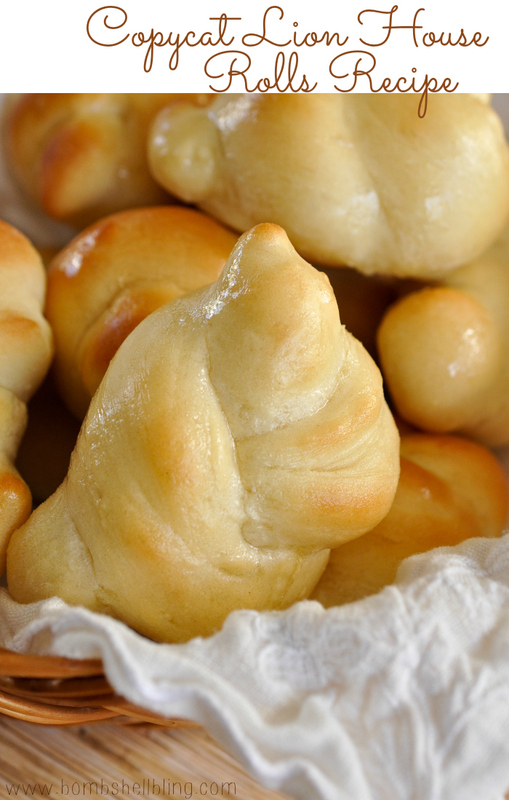 Years ago a friend of mine who grew up in Salt Lake City shared this recipe with me and taught me how to make my own copycat Lion House Rolls. I am excited to be sharing the recipe with you today! 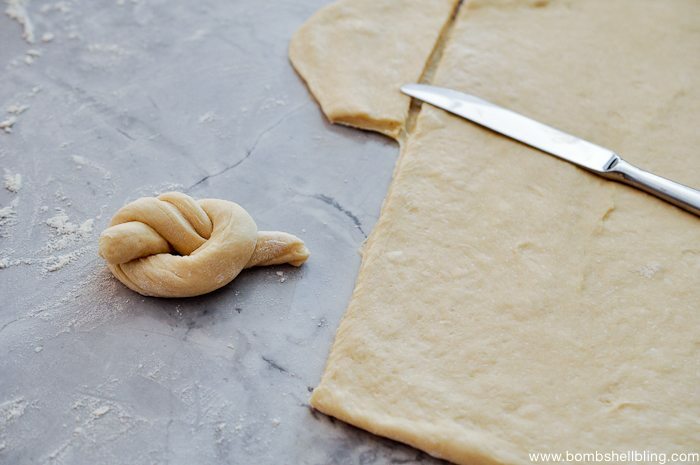 I will walk you through the process of making Lion House Rolls with pictures, and then I will list the detailed ingredient list and steps in a compact format at the bottom of the post. 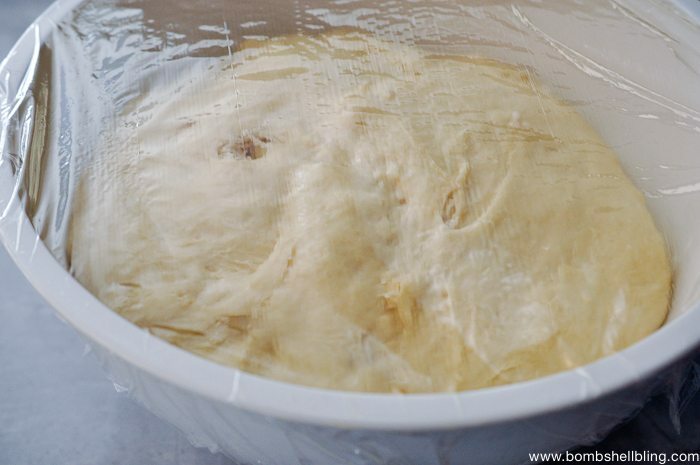 Place the yeast in warm water and allow it to dissolve for about 5 minutes. 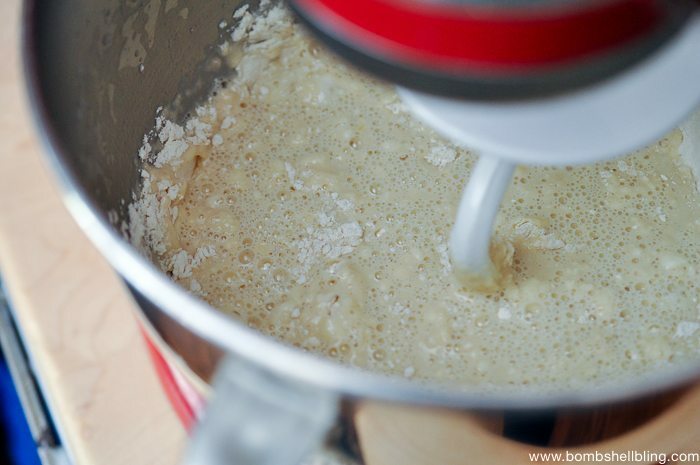 As the yeast is dissolving, mix together these dry ingredients and set aside: salt, sugar, and powdered milk. Add the dry ingredient and an egg to the yeasty water and mix. Mix in 5+ cups of flour, ONE AT A TIME. (I use a KNEADING BEATER on my Kitchen Aid mixer. I have never tried it with any other kind of mixer, but I can’t see why it wouldn’t work, although maybe not as easily.) The amount of flour that you will need will vary with humidity, elevation, etc, but 5 cups is a good starting point. You don’t want the dough too sticky OR too dry. 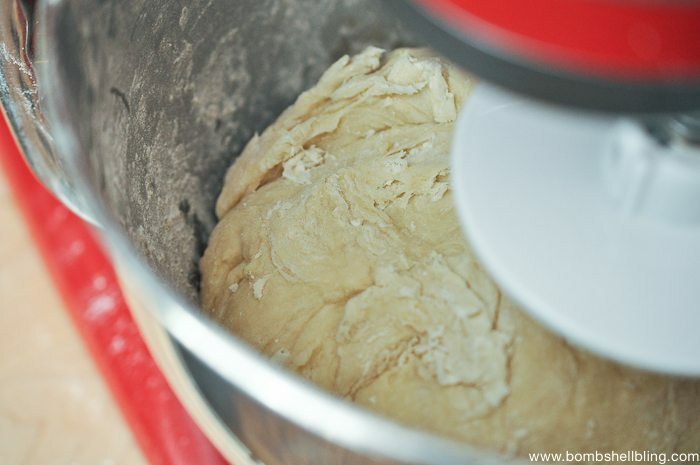 Basically, I knead it in the mixer until it starts to pull away from the edges, as shown in the second picture below. Next I lightly spray a large bowl with cooking spray, place the dough into it, and cover it with a piece of cellophane wrap which has also been lightly sprayed (on the side facing the dough) with cooking spray. Place in a warm place and let rise for 2-3 hours until doubled in size. 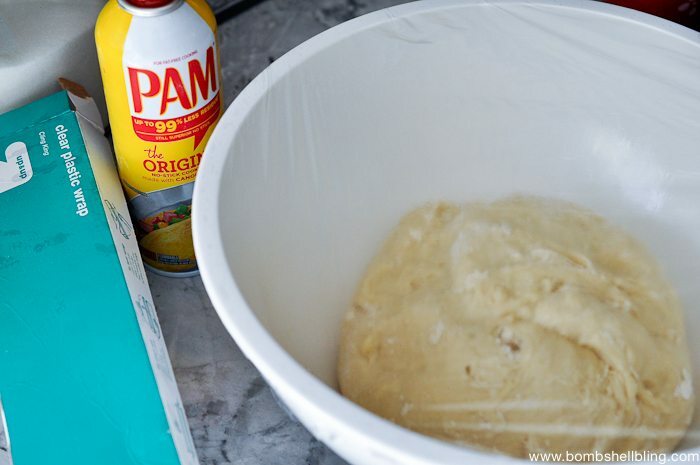 Here’s my bread and roll rising secret: I use a small room to create what my husband refers to as my “roll incubator.” If I’m running behind I choose a small room and place the dough in there, along with a space heater cranked up and even put a towel to close the crack of the door on the bottom. I do that for this step and the next. 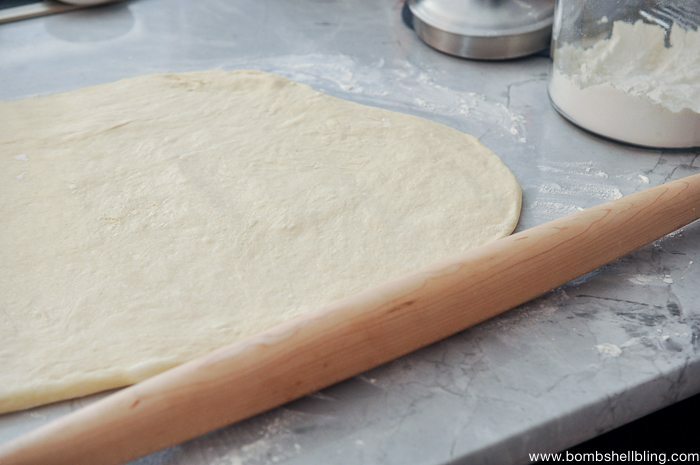 Once the dough has doubled in size, roll out the dough on a floured surface. Cut and mold them into any shape that you want. I usually do knots. 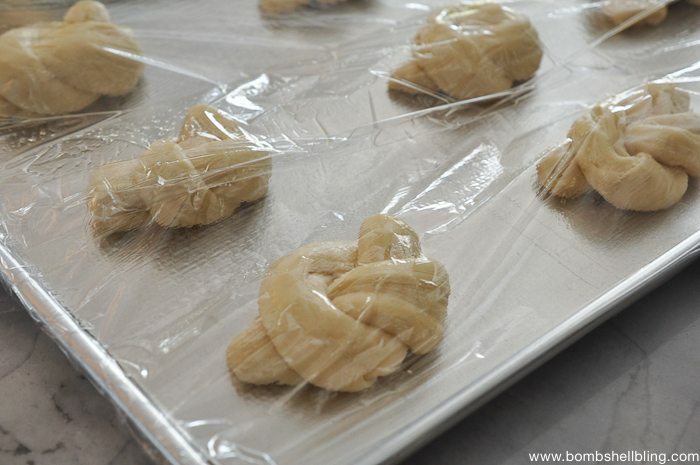 Place the rolls on a cookie sheet that has been lightly sprayed with cooking spray. Cover with cellophane wrap that is also lightly sprayed with cooking spray. Place the cookie sheets in a warm spot to rise for about 1 additional hour. Bake the rolls at 350 degrees for approximately 12 minutes. 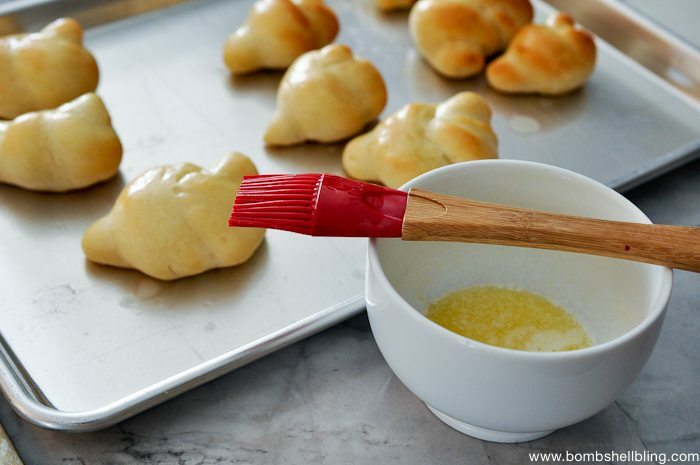 Brush the top of the rolls with melted butter once they are removed from the oven. Now serve and enjoy! Serve warm if possible. YUM. 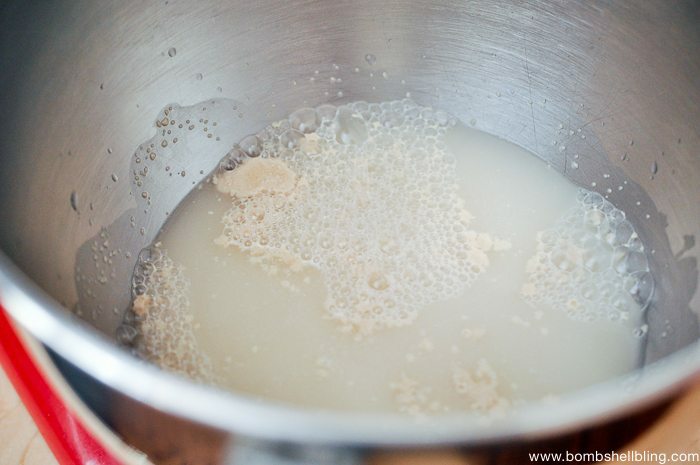 Put the yeast into a bowl of warm water and allow it to dissolve for approximately 5 minutes. 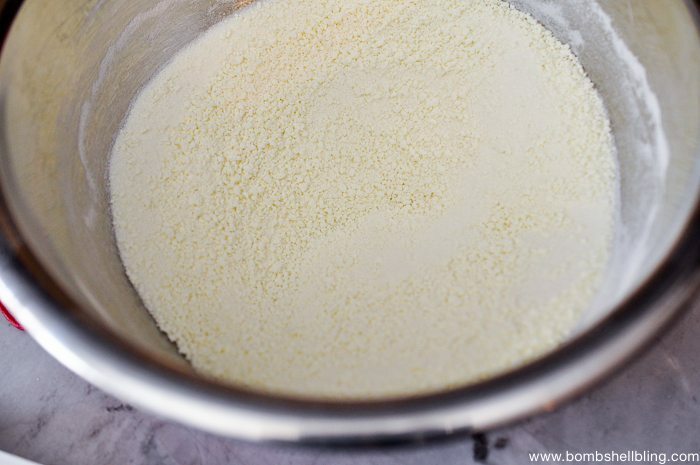 As the yeast is dissolving, mix together the salt, sugar, and powdered milk and set aside. 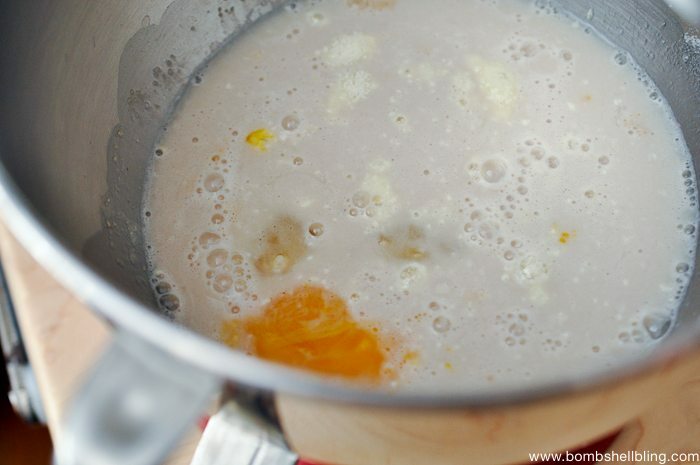 Add the dry ingredient mixture and egg to the yeast water and mix. Mix 5+ cups of flour into the mixture, ONE CUP AT A TIME. The amount of flour needed will vary depending on humidity, elevation, etc. The dough should not be sticky and should be pulling away from the side of the bowl. Lightly spray a large bowl with cooking spray and place the dough into the bowl. Lightly spray one side of a piece of cellophane wrap and place it over the top of the bowl, sprayed side facing the dough. Place the dough in a warm spot and allow it to rise for 2-3 hours, or until doubled in size. 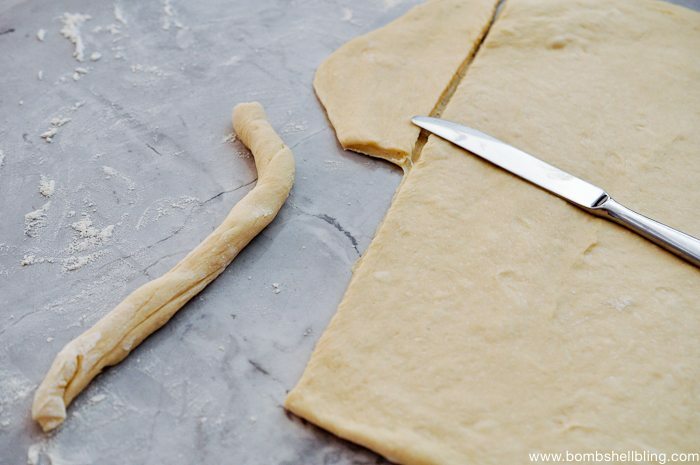 Roll out the dough on a floured surface. Cut and form rolls. I usually knot them. Place formed rolls on lightly greased cookie sheets. Place lightly sprayed cellophane wrap over the rolls/cookie sheet, sprayed side facing the rolls. Place the cookie sheets in a warm spot and allow the rolls to rise for 1+ hours. Bake the rolls at 350 degrees for approximately 12 minutes. Melt the butter and brush it on top of the hot rolls. They look so good, I think I can smell them through my screen. We don’t have Lion House here, but I’m glad I can enjoy those rolls nevertheless, thanks to you. Thanks for joining the Thursday Favorite Things Blog Hop! These rolls look delicious. Pinned and Tweeted. Thank you for sharing on Snickerdoodle Sunday. Never been to Utah, so I’ve never had the real thing, but these look amazing! Thanks for sharing at the #HomeMattersParty – hope to see you again next week! Thank you for linking up to last weeks Tasty Tuesday linky. I have pinned your recipe to the Creative K Tasty Tuesday Pinterest board. I hope that you’ll join us again tomorrow. Looks delicious! Thanks for sharing on the What’s for Dinner link up! There is something addicting about a good dinner roll. Yours look so good glistening with that butter! Thanks for sharing on Family Joy blog linkup. Oh, my! This recipe (and your photos!) make my mouth water. Pinned and sharing. Thank you for joining us at Family Joy Blog Link-Up Party. I hope you will join our next party starting Sunday at noon EST. Those rolls are just beautiful and sound delicious! Do you know about how many this recipe makes? I’m making them for Easter dinner and want to know if I should make two batches for not. Thank you in advance! Can you make this dough and let it rise a day before baking them? Would it matter if you let it rise over night? I am not an expert on yeast breads, but I do not think that would work. I wouldn’t try it, personally. Sorry! 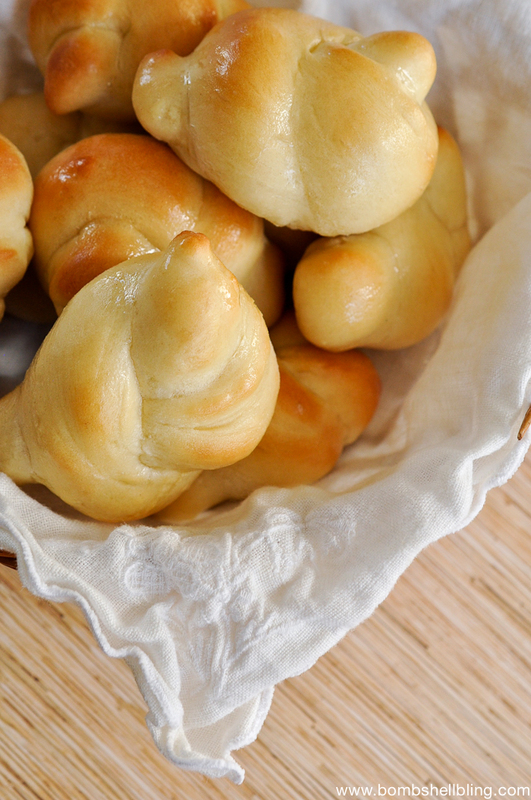 Nothing like a good yeast roll – Thank you for sharing at the What’s for Dinner Party – hope to see you again this week! Oh yum! I love the Lion House rolls! Thanks for sharing with SYC.